Yesterday, our friends over at OutSports posted an editorial from college athlete Kyle Davis. He writes about the love and acceptance he’s found from his teammates after coming out. And it’s one of the most heartwarming things you’ll read all day. Davis attends Ithaca College in New York. He’s a junior there, and is a long and triple jumper on the track and field team. He’s studying physical therapy with a minor in sport studies. And, as it turns out, he’s also a pretty great writer. There lies such a specific idea of masculinity in sports, and most people don’t associate being gay with being an athlete. Coming from a really small high school, everyone knew everything about each other, and nobody was openly gay. I didn’t have to think about this when I was running, jumping. I had to think only about myself and my performance. 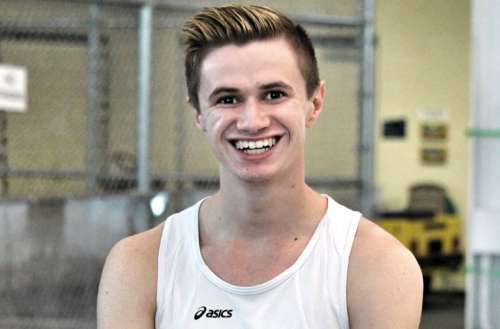 He talks about coming out for the first time in high school to his coach. He was walking around the track with one of his close female friends. 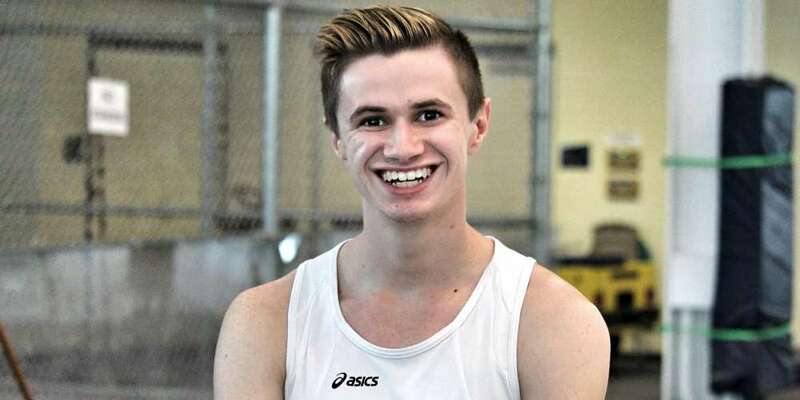 Kyle Davis’ coach asked if they were dating, and she laughed and said he was gay. The coach scolded her for making what he thought was a homophobic joke until she confirmed she wasn’t kidding. The coach gave Davis an “awkward fist bump” as he walked away. Headed to a bonding exercise early my freshman year I was riding in a car with three other teammates. I stayed really quiet, still a bit nervous to talk too much. Eventually we got on the topic of tattoos because my captain had one on his arm. He asked me about mine – The moment of truth. I told him I got mine because track helped me escape the rest of my life, and that it was drawn by the first person I ever came out to. I took a chance, but I felt like it was the right thing to do. To my surprise, nobody really reacted that much at all. There was neither love nor hate that came next, just a general acceptance. Apparently, there had been someone on the team the year prior that was also gay, so I was not the first. They made me feel like being gay was as arbitrary as my hometown, and that made me so comfortable. It was not as big of a deal to them as I assumed it would be. My teammates were the last people I wanted to tell, but a few of them were around that night. One of them came over and said hi. He said he recognized me from Facebook, and I remembered us discussing possibly rooming together. “Oh yeah, aren’t you gay?” He asked. Whether those were the exact two words or not, that was the sentiment everyone expressed when I told them: cool. The entire editorial is worth reading — these are just the highlights. Seriously, if your day needs a boost, this is just what the team doctor ordered. Read Kyle Davis’ full OutSports editorial here.